Rigid Lights - D-XL Series UNIVERSAL - Dezod Motorsports Inc - Home of the automotive performance enthusiast since 2002. With the enormous popularity of the original D-Series came the need for a slightly larger, more powerful lighting solution. 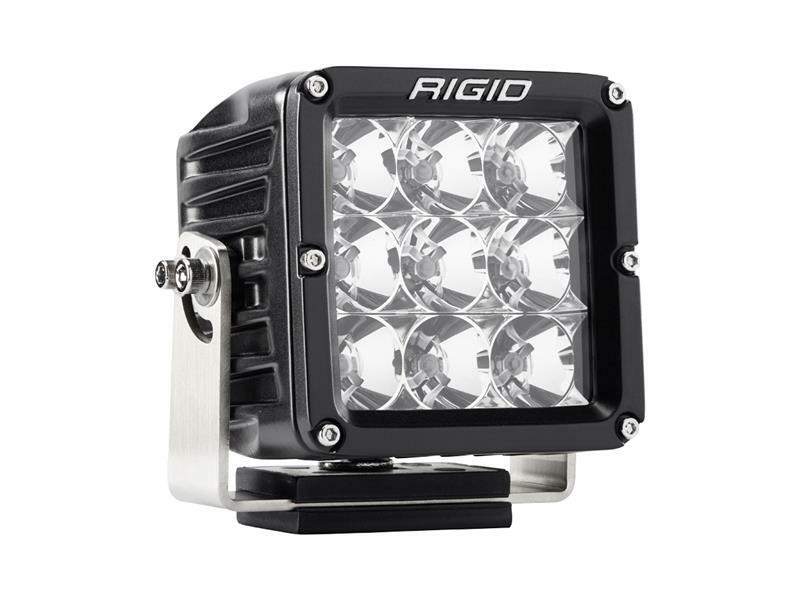 The RIGID D-XL PRO boasts more light than ever before in a housing that measures 4”x4”. Recent improvements to the LEDS in the D-XL Series PRO with its new Professional Race Output of up to 170% more raw lumens while maintaining the efficiency that is the hallmark of the entire RIGID product line. Featuring an unbreakable polycarbonate lens, durable UV-resistant polyester powder coat, stainless steel hardware, and a vibration isolator, the D-XL Series PRO is available with your choice of beam pattern optics. Recent updates include new RIGID branding and blacked-out circuit boards for a more refined look. Whether it\’s off-road, power sports, general automotive, mining, agriculture, or fire and rescue, the D-XL PRO is perfect for any application that requires a high intensity LED light.